It is pretty much a given these days that any professional or business needs to be online. An internet presence is the default if you want to reach your customers, or in the case of medical practitioners, their patients. Your website is your window to the online world. There are several platforms out there and the one with most websites on it is WordPress. For good reason, too. At least five of them as you will find out in a moment. But first, let’s address the WHY that pops up in your mind when you hear the words doctor and website in the same sentence. Why do doctors, especially family and general practitioners with independent practice, need a website? Because your patients are looking for it! In fact, even as you are reading this, you can be sure that someone is typing into Google on their smartphones “family practice doctors near me open saturday”, as they step out of their home to head to work. Like everyone else looking for information on services nearby, patients and their families are more likely to look you up on Google before they pick up the phone to make an appointment. They certainly do that for hospitals. A hospital’s website is now its entry point. Patients and their caregivers even take the time to read reviews of what other patients/caregivers are saying about the response times in the ER, for example, before making that trip to the hospital. A family practice or a general practitioner’s office is no exception. If you are not online, you are not visible to a large segment of people in the 18-49 age group. Statistics show that in this demographic, an average of 97% people are internet users. This is also the age group that is likely to have children and the elderly in their care. 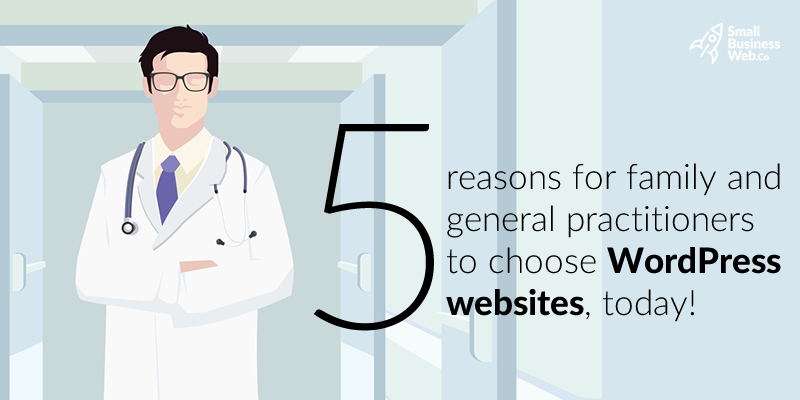 Without a website, your general practice might miss out on potential patients. There are many platforms on which to build a website. WordPress offers quick solutions for your website creation needs. WordPress Content Management System (CMS) powers 30% of all the websites on the internet today. There are at least 1.8 billion websites on the net today, so that means over 450 million websites are on WordPress. It is a robust platform that offers a wide range of plug and play options to quickly and smoothly customize your website. WordPress offers a vast array of themes, both free and paid, suitable for any type of website. It also has impressive library of themes especially for medical practitioners. One of its most popular themes for family practice doctors is called the Medical Practice Theme. A clean, easy to browse design makes it ideal for any type of medical practice. As you can see, all the pertinent information is available right at the top. And this is just one of many such. One of the advantages of paying for a theme is that you get a lot of freedom with designing to your liking. What’s more, themes don’t cost the world – the most expensive are just a few hundred dollars. Customization is important to keep your website unique. It is quite easy to install your chosen theme on your website. 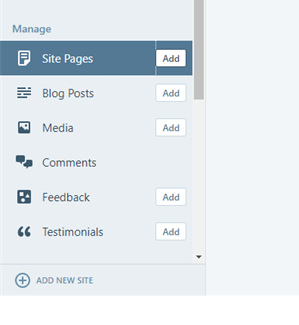 Following that you can choose from the range of built-in WordPress plug-ins to play around with the theme, adding or removing features to give it a new look. With the help of a WordPress web developer, you can get a whole host of customized plug-ins as well. WordPress allows for customization of the underlying theme design itself. The robustness of the platform allows WordPress developers to modify child themes to make them look entirely different to the original theme while retaining all the technical functionality of the parent. In fact, you could even think about customized themes built from scratch using WordPress functionality. Full-scale custom theme development helps in setting your website apart completely from others of similar nature. Small business website development services offered by web developers and enjoy full WordPress functionality for your 100% unique website. Even if you decide to go ahead using a free website and theme with minimum customization, building the website all by yourself won’t take more than a couple of days. Page creation is WordPress is a highly intuitive and easy to understand process. 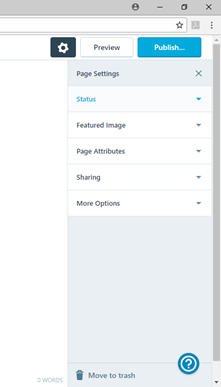 Click a button on the site manager page to add a Page to your website. Add your content and photos and push the “Publish” button and your page is live on the internet! A plugin is a small program, containing functions, that adds more features to your website. Plugins make your website more interactive both for website visitor and website owners. Even simple plugins that help connect your website visitor to their social media pages are effective in increasing engagement with the visitor. Google Analytics is an example of one the plugins that you can incorporate in your theme. With Google Analytics you can find out how many website visitors you get, what type of content people are reading on your site, how they engage with the content and much more. This helps you keep your website fresh and appealing to visitors. Another example are SEO plugins which help to optimize your site efficiently. Optimizing your website helps to drive traffic to your website organically and gets better ranking on search engines like Google and Bing. As with themes, you can use custom plugin development to increase the unique value of your website. Custom plugins include podcasts, sales funnels, optin plugins for mailing lists and many more. A good health and medical website development company can help you enhance your website performance through customized plugins. WordPress CMS is a powerful platform for building and maintaining websites. For busy medical professionals like family doctors and general practitioners, WordPress offers quick and easy methods to operate a website. For optimum website performance you can always engage a small business web design company that specializes in WordPress websites, but even without outside help, a WordPress website can be easily set up and operated. Help new patients locate you faster online. Engage more with and provide faster means of information access to your existing patients. A WordPress website makes everything that much easier.